Formby Surveys, who have offices in Liverpool and London, are an established firm of land and building surveyors. Geoterra partner with Formby Surveys to provide clients with high-end building surveying services such as measured building surveys, 3D laser scan surveys, 3D modelling, Revit models and right of light surveys. Flodim develops and deploys well and cavity logging services. Based in France and operating across the UK and Europe, Geoterra has partnered with Flodim to offer specialist subsurface multibeam sonar surveys of submerged voids; extending our subsurface laser scanning survey capabilities for clients. Terrafirma are experts in mine and mineral extraction search reporting. Combined with Geoterra’s experience and expertise in the subsurface laser scanning surveys of voids, cavities and sinkholes, together we can provide a comprehensive risk assessment service to determine ground stability prior to any property or land purchase, planning or development. 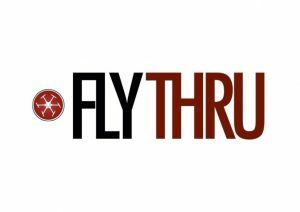 Geoterra partners with Flythru to provide clients with specialist aerial surveys and inspections using fixed-wing and multi-rotor UAV technology for a wide range of applications.